Would it surprise you that there are churches out there that are unhealthy? That there are churches full of sinners, led by sinners, where the health of the church is compromised? I’d hate to burst your bubble but it’s true. I open referring to unhealthy churches because the reality is that the state of the youth ministry you lead or are part of (as a student, volunteer, or parent) is only as healthy as the overall church. It is important to reflect a little on this idea of health. There are a number of ways to think about it. Is the church healthy theologically? Is the church healthy in its structures and processes? Is the church healthy in its interpersonal relationships? Is the church healthy in its leadership? There are different angles to explore this issue of a healthy church. Nevertheless, if there is some part of the church that is unhealthy then it will, consciously or not, affect the whole church. When I get a cold my main issues are the throat and sinuses but it affects the way my whole body operates. It’s the same with the church. For you as a Youth Pastor, or someone involved in youth ministry, this could look different. This unhealthiness could show up in different ways. For some churches there is a clear disparity between the youth ministry and the rest of the church. The youth and young adults have their own things going on and the adults have other programs happening and never the twain shall meet. This is sad. It means there isn’t any inter-generational interaction and growth occurring, resulting in the ‘silo effect’. When people of generations aren’t able to get to know each other it is easy to forget “we’re all one in Christ Jesus” and that our church is a local expression of the body of Christ, from child through to octogenarian. Other churches may have a great Youth Pastor, have a terrific leadership group, run an awesome program, build solid relationships with parents and students, and see people coming to Christ. However, if things at the top of the church leadership structure aren’t great then things will go awry. The health of the leadership of the church is vital in providing a sustainable base for the youth ministry to grow and thrive. In Baptistland, where I find myself residing, there is always the temptation of church leaders to seek power and control and the status of being on the ‘diaconate’ or ‘council’. If the point of being on such a group isn’t service, and a looking out for the whole of the church and its ministries, then it will soon collapse. 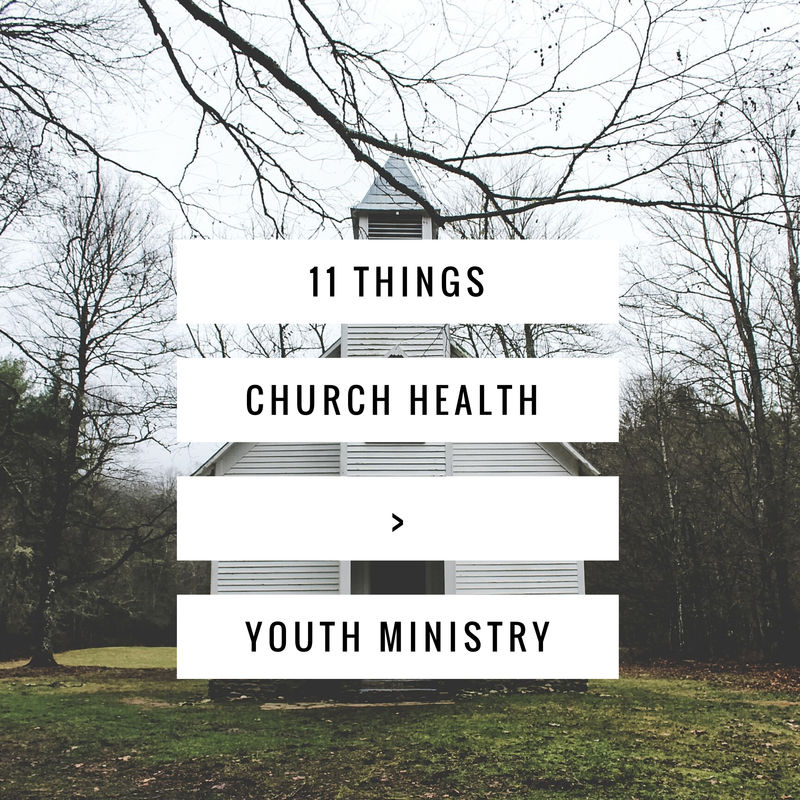 So, what are some ways those in youth ministry do despite un-health? Pray for the church. Pray for the whole church, for its pastors, for its leaders, for its volunteers, and for its health. Encourage membership. In the Baptist tradition the base of power is held with its members. Therefore, encourage those who meet the membership requirements of your church to become members. This enables those within the youth and young adult ministry to have a more formal voice in the church’s decision-making process. Be aware of what is going on in the wider life of the church. The worst thing is to become a person or ministry that is disconnected to the whole church. Be someone, or a ministry, that seeks strong relationships with others in the church. In doing so you may find yourself recognising that you’re part of a bigger picture. A while ago I wrote a post about what I wished I knew when entering youth ministry. This is part three of a series dedicated to elaborating each of those eleven points. You can read part one and part two here. Out of curiosity: would you say that churches are, on average, more unhealthy than secular organisations, less unhealthy, or the same? If the answer is “more unhealthy” or the “same,” how would you explain this? What do you think it means for the church’s claim to offer something different, and hopefully better(!) to the world than just your average old scouts club? And if we accept that churches are unhealthy places, “full of sinners,” how do we reassure families and young people that it is safe to be part of them? If the answer is “less unhealthy,” what would you see as some evidence that can demonstrate this? Hey. I feel like there’s so many ways of answering this and it’s a big question – and not sure if they’re leading questions or not! Haha. If my leading sentence is true, that the church is a group of broken people led by those who are broken, then this would also be the case for secular organisations. So in that sense the possibility for unhealthiness is probably the same. This probably depends what kind of definition you give to ‘unhealthy’ though and the framework you’re working from. i.e. I’m not looking at the state of a secular organisation with the question ‘are they theologically healthy’? In response to your second paragraph I would like to think that the church offers something much greater than your average scout group or other typical ‘club’. And while finding community in those places is possible, the church is a group of people who are seeking to live in community with God and one another. Therefore, coming together, encouraging one-another, being in service together, and trying to follow Jesus as best we can together is part of what church is. The centre-ing of the community is on God and highlighting God in amongst the rest of the things we do either as a church or as people. My hope would be that this brings a solid amount of hope for anyone. That despite what we are facing there are others in the same boat, recognising they need God, and finding their hope in him. On a more practical level, we do everything we can to make sure we have a ‘safe church’ for families and young people. I think that is different to recognising that we are broken people. 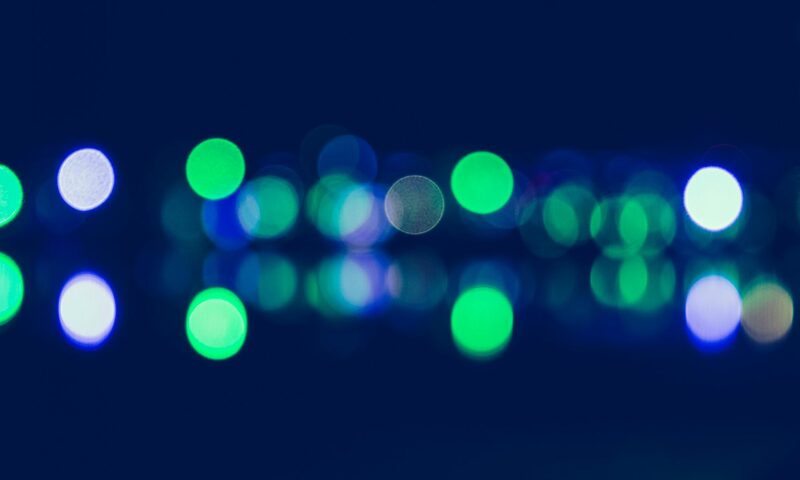 Structures, processes, and policies and the like all have their place in this day and age. A commitment to safety and probably the need for a commitment to healthiness in relationships and interactions with one-another needs to be stated too. Recently the leadership at our church has just signed a commitment covenant together and we’ve put in place and continue to update our ‘safety’ stuff. This being made public helps the culture of the place and provides parents and young people with the knowledge that we are seeking to be helpful and caring not deceptive. I don’t even know if this answers the question/s. Here are some words. Haha.